Jared Unzipped: The Tiananmen Square Protests - 26 Years Later. Today, June 4, marks the twenty-sixth anniversary of the Tiananmen Square protests of 1989 in Beijing, China. 1989 - Tanks from the People's Liberation Army roll into Tiananmen Square, preparing to silence the protesters. One anonymous man (now known colloquially as Tank Man) stood in defiance, at great risk to his own life and limb. His fate is not known. This historic photo was taken by Jeff Widener of the Associated Press. Hundreds of pro-democracy student protesters were murdered by their own government, perhaps even thousands -- information about the event is not totally clear. The Chinese Government does not officially recognize the incident, nor do they allow any public recognition of it. The cloud of misinformation is still in full force. Even though the Chinese Government ignores this terrible massacre, many hundreds of thousands of citizens hold vigils annually to remember that terrible day. 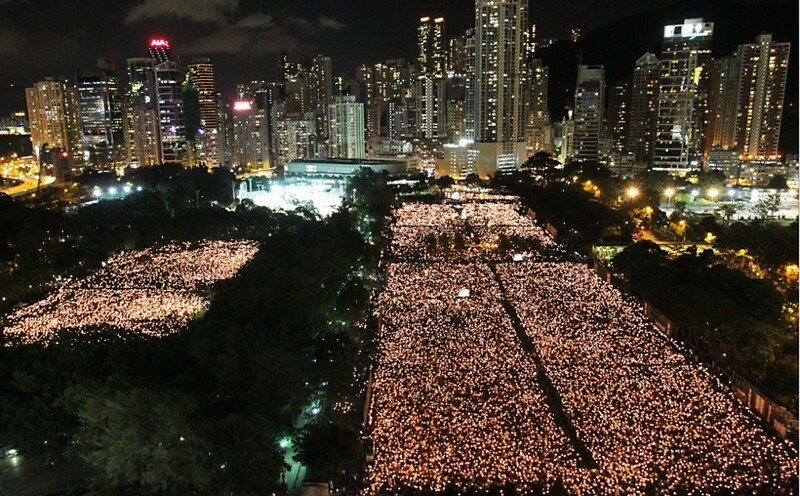 Just some of the many tens of thousands of attendees to 2014's Tiananmen Square vigil in Hong Kong's Victoria Park. In the time since then, China has grown to become one of the world's leading powers, both militarily and economically. Some of the political reforms sought by the Tiananmen protesters have been implemented in the decades since. The current Communist regime, led by Xi Jinping, has taken an aggressive approach to removing corrupt elements from the government. Though, the Communist Party is still the sole political group allowed in China. Independent political parties are not permitted, nor are they tolerated. Whereas students fought for personal liberty in 1989, the youth of modern China face harsh censorship and control in today's digital world. China has instituted increased internet regulation since 2012, limiting much of what the Chinese people can view online. Lu Wei, China's chief internet regulator, was quoted recently as saying that the people needed to be educated in how to be "good netizens". The Tiananmen Square Massacre serves as a stark reminder to the residents of Earth. The good people of this planet must not suffer tyranny quietly. Oppression by any government against its People can not go unchallenged. 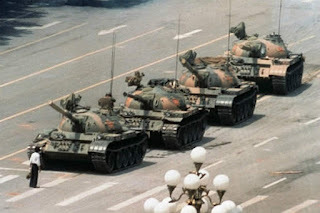 Though the American people (and those of many other nations) enjoy more freedom than most, I believe we can all relate to the Tiananmen protesters. On this day, we remember.